Hi everyone Ivett here again! I sure hope you are having a fabulous week! 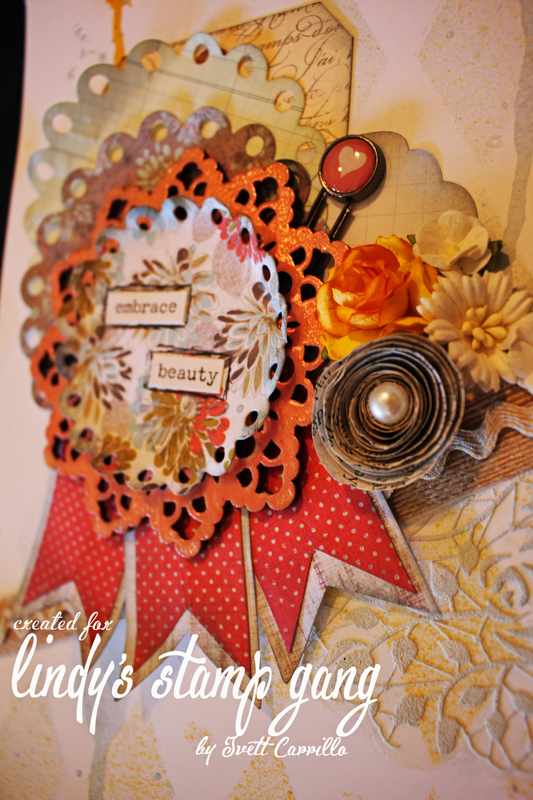 Today I’m stopping by to share this layout I created for you using a subdued yet impacting color combination. I grabbed some white 140lbs cardstock and sprayed Grab a Guy Gold Starburst Spray, Whale Watch Blue Starburst Spray, & A Bit of Bubbly Starburst Spray, thru a stencil and created this beautiful background for my layout. 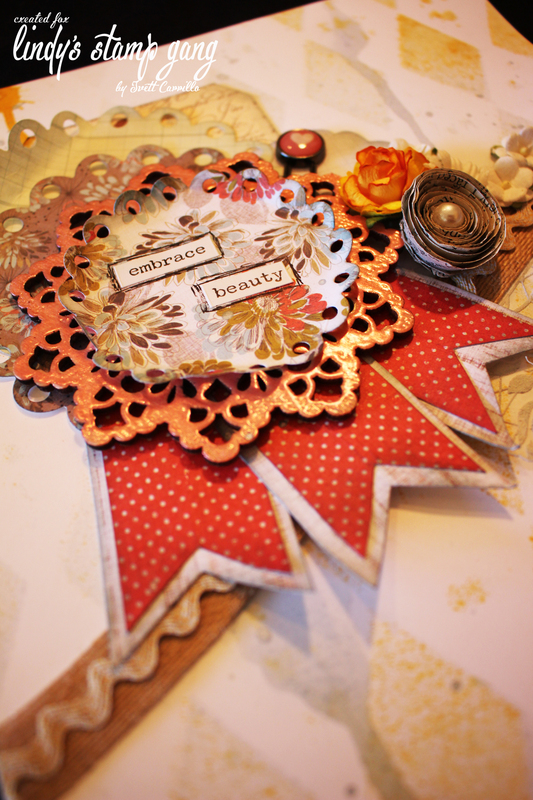 I also used Geranium Coral Blush embossing powder and embossed this amazing wood doily piece with it!